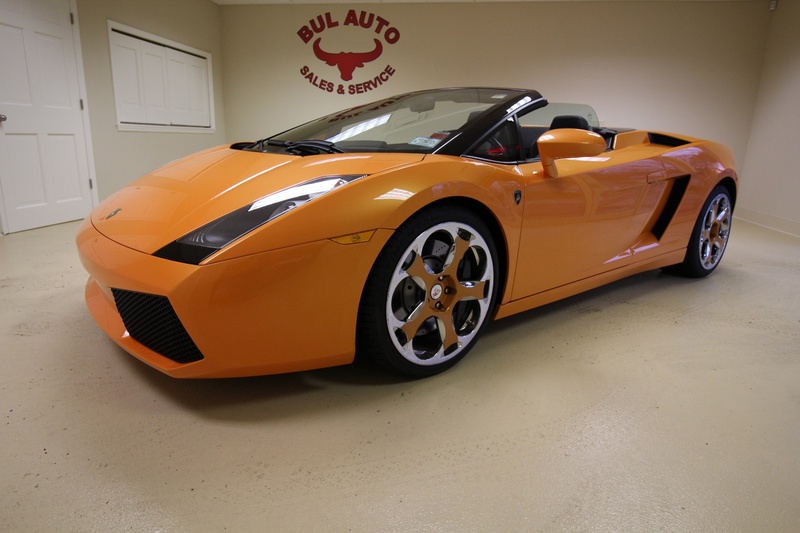 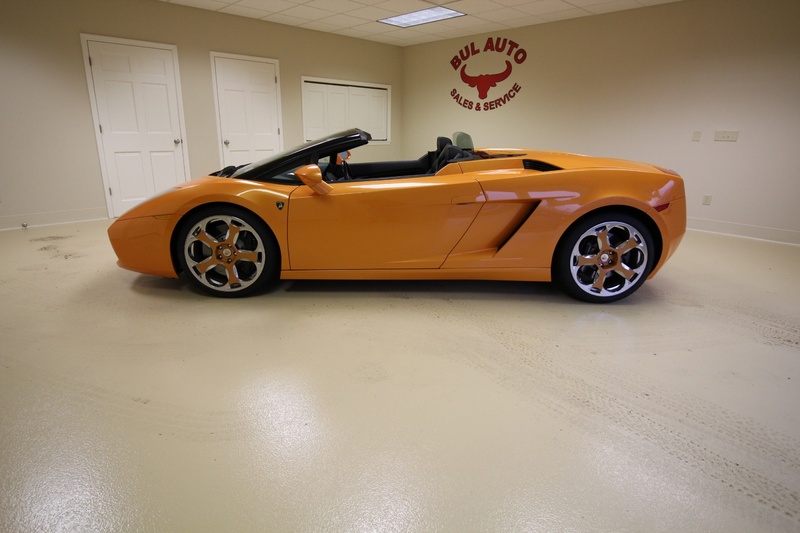 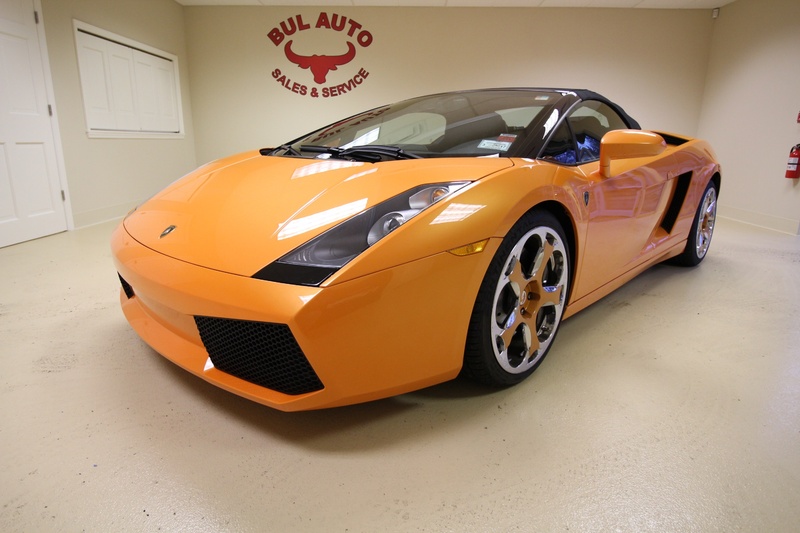 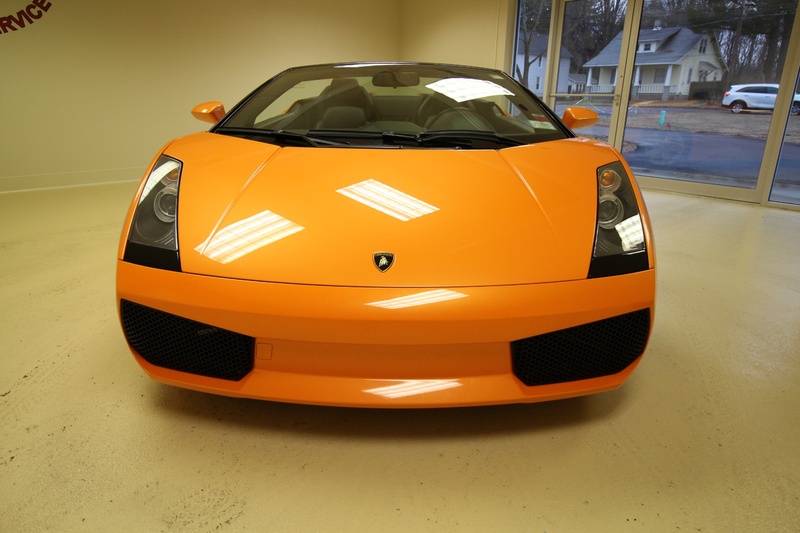 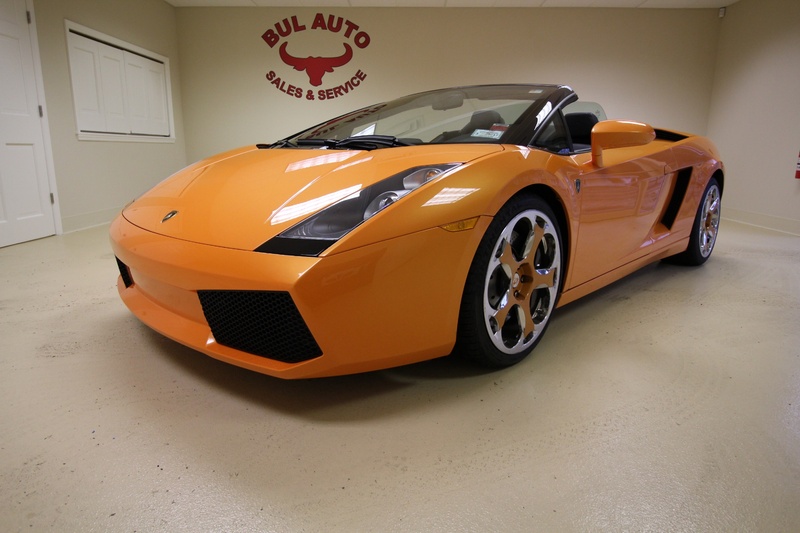 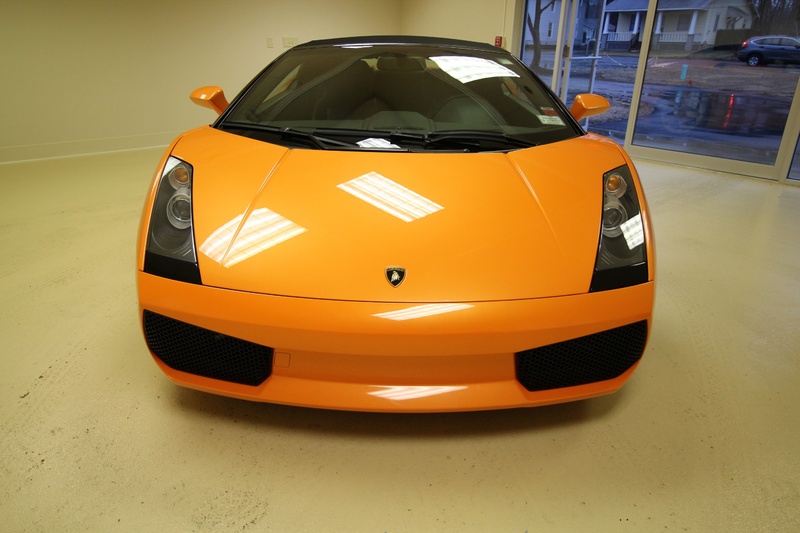 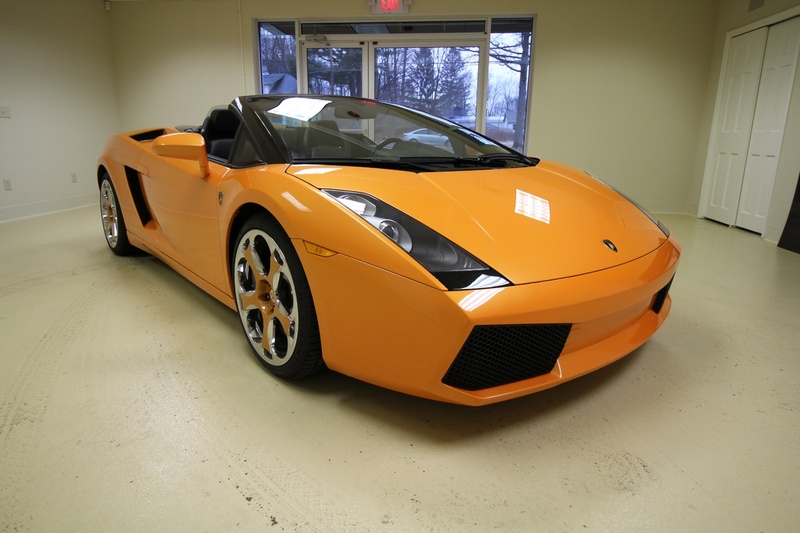 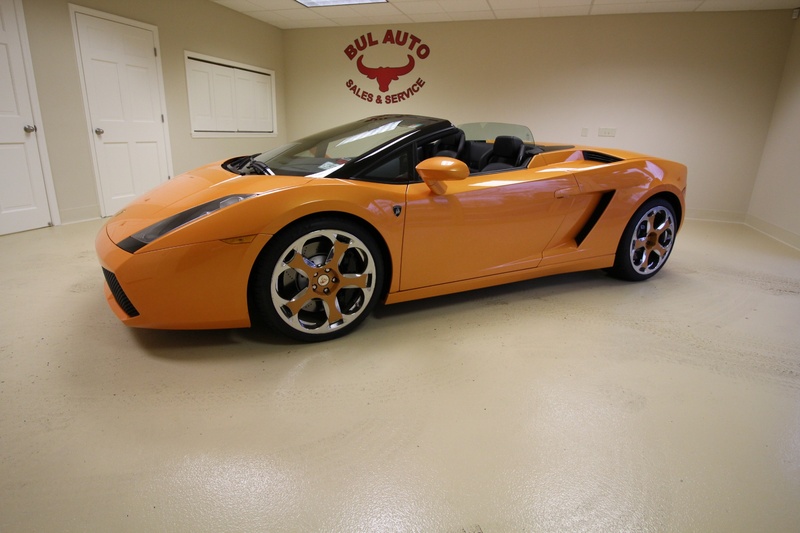 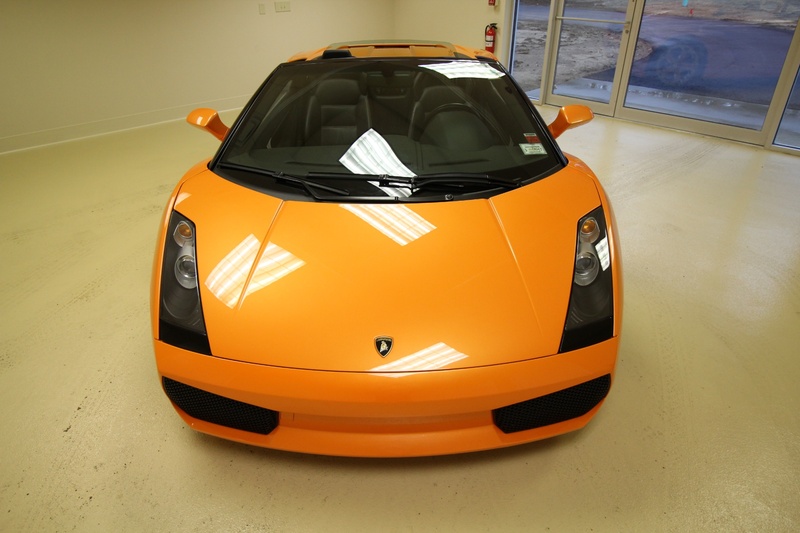 THIS IS A SUPER CLEAN, 2 OWNER, 2006 GALLARDO SPYDER E-GEAR. 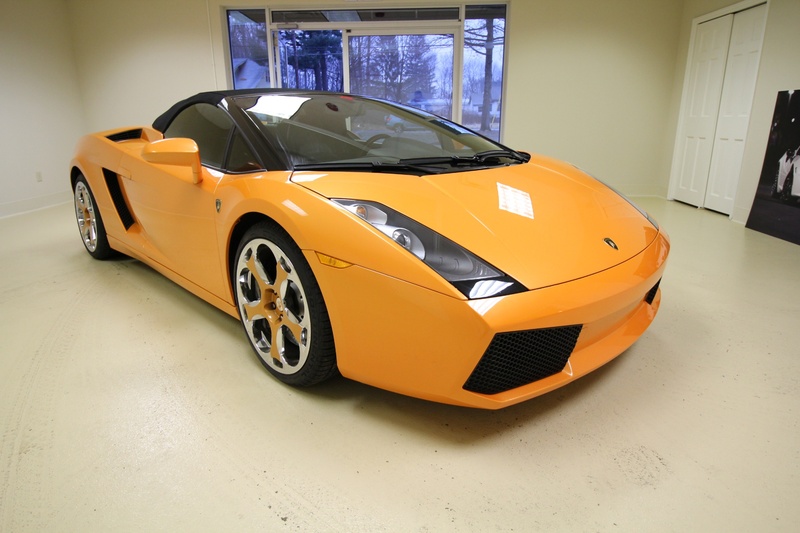 IT IS FINISHED OFF IN THE HIGLY SOUGHT AFTER ARANCO BOREALIS ORANGE PEARL METALLIC EXTERIOR WITH BLACK TOP AND BLACK LEATHER INTERIOR WITH ORANGE STITCHING. 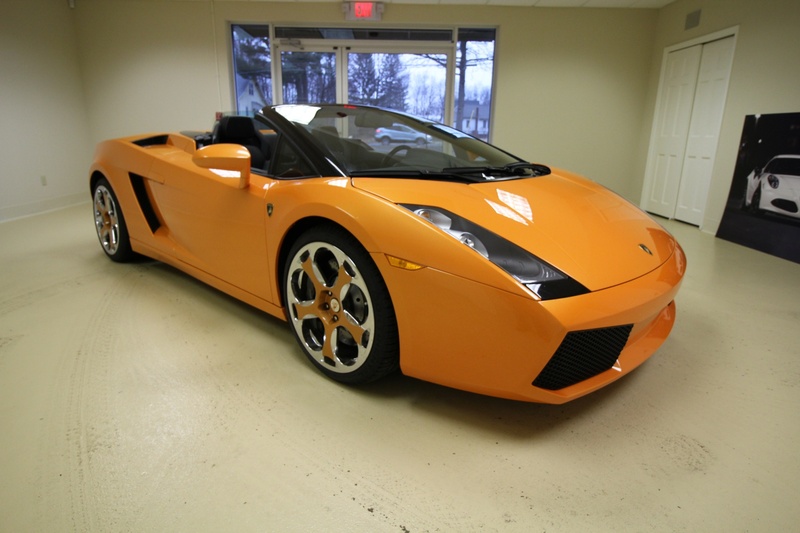 IT WAS A ONE OWNER, BACK IN MAY WHEN WE BOUGHT IT AND SOLD IT RIGHT AWAY TO A LOCAL CUSTOMER OF OURS. 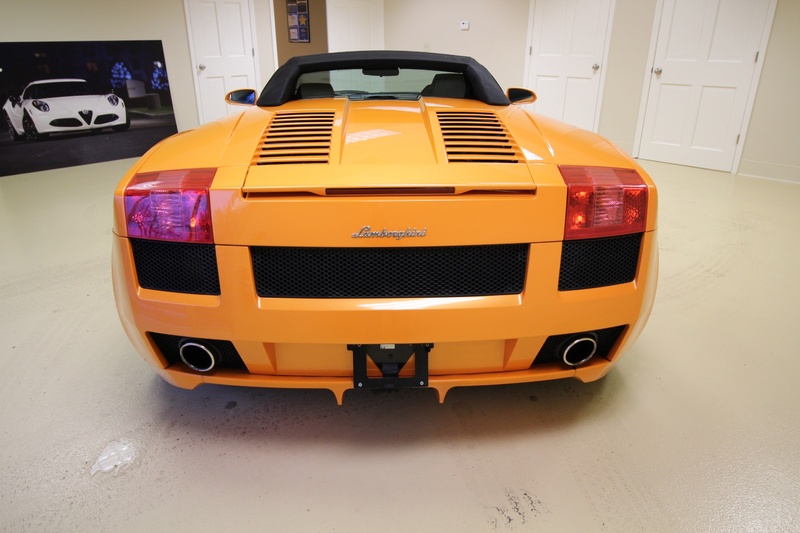 HE BUYS AN EXOTIC VEHICLE FOR A SUMMER TOY AND TRADES IT BACK IN WITH US AT THE END OF THE SEASON. 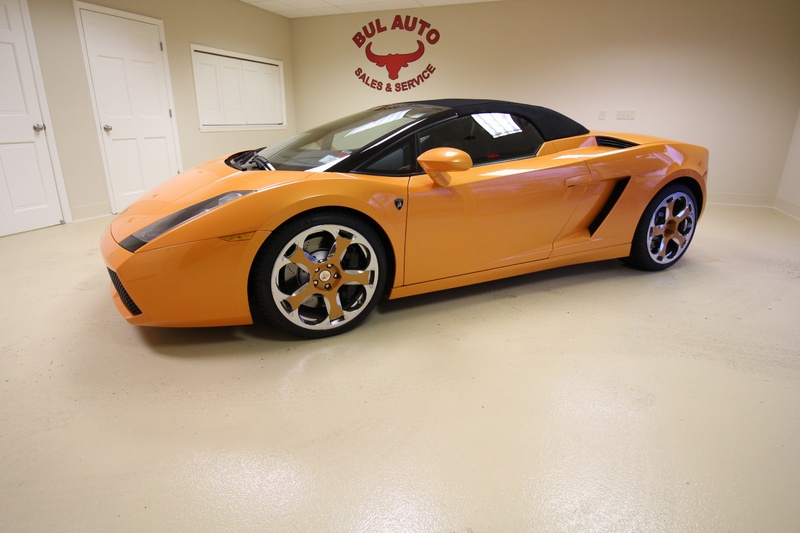 WHEN WE BOUGHT IT, THE CLUTCH WAS JUST REPLACED WITH A BRAND NEW CLUTCH BY A LAMBORGHINI DEALER IN FLORIDA AND WE HAVE THE RECORDS FOR THAT. 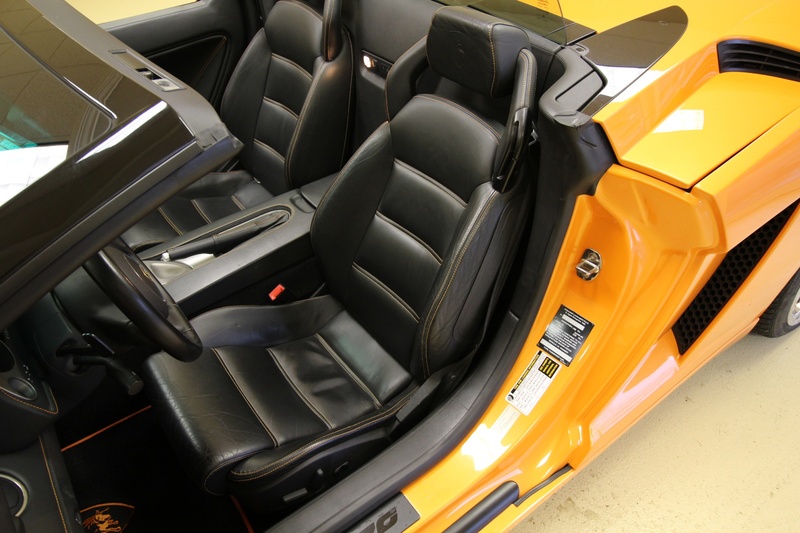 IT IS ALL ORIGINAL PAINT AND HAS NO PAINTWORK. 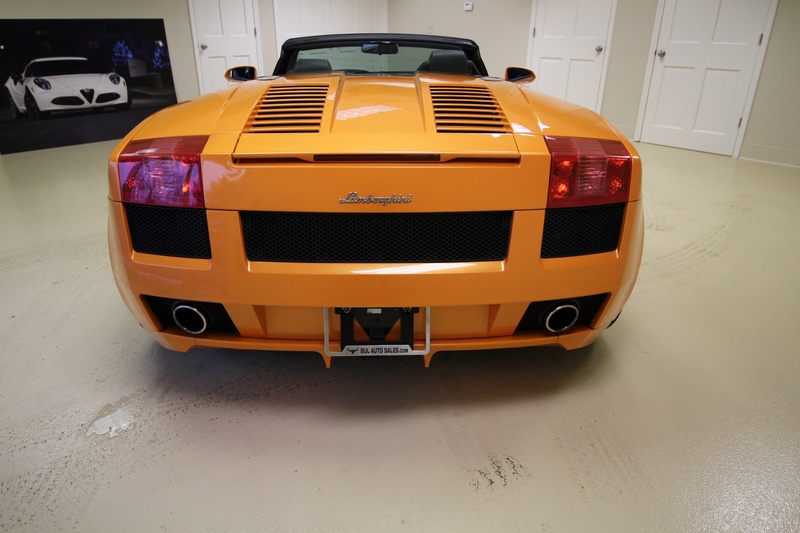 THE ONLY IMPERFECTIONS THE VEHICLE HAS IS THAT THE WHEELS HAVE SOME MONOR CURB RASH. 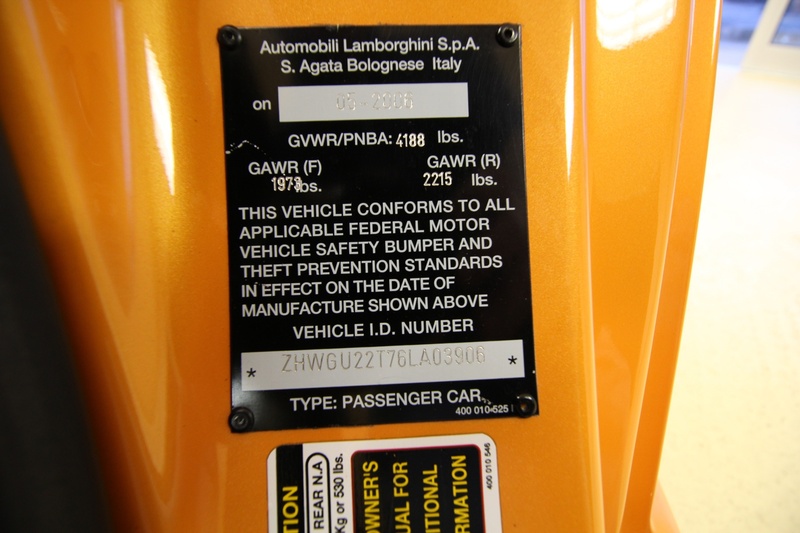 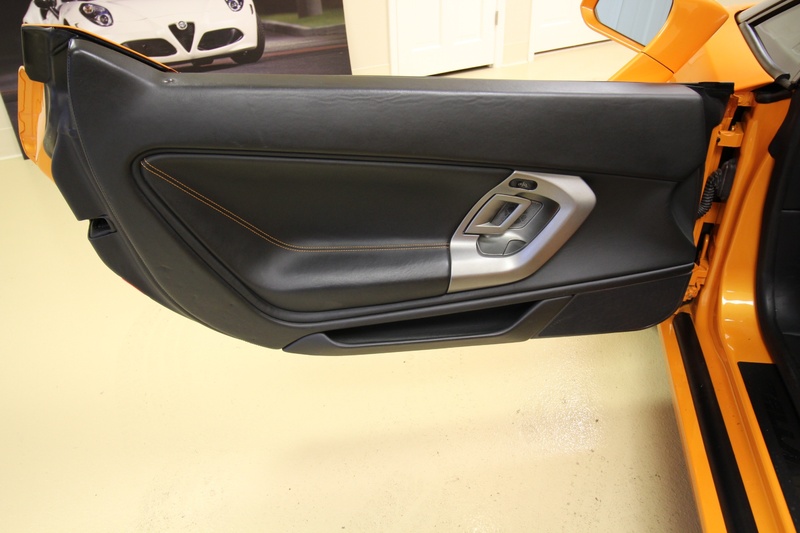 IT IS A VERY WELL CARED FOR LAMBO. 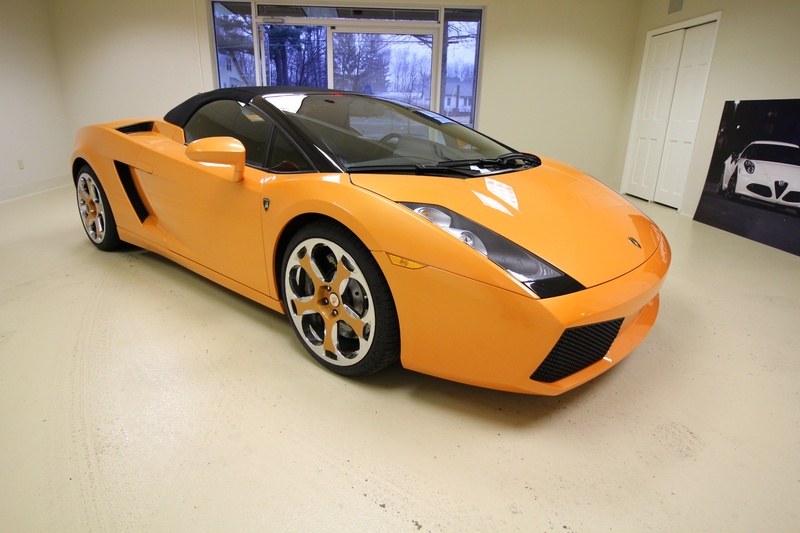 VERY LOW MILES - 17K. 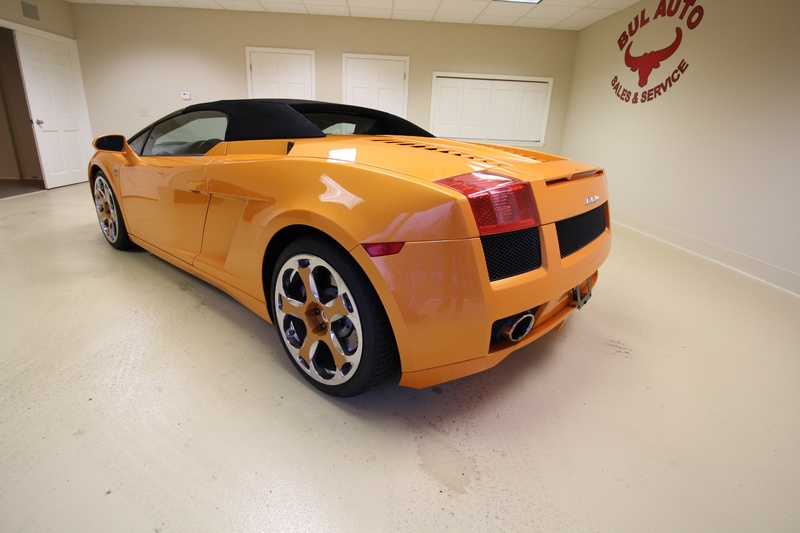 WE SERVICED IT IN MAY OF 2015 BEFORE WE DELIVERED IT WITH 12K MILES AND WE SRVICED IT IN MAY OF 2016 AS WELL. 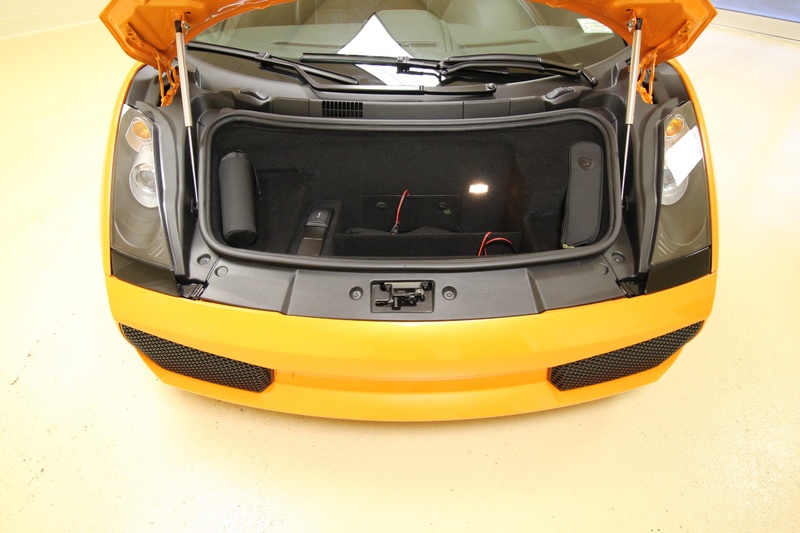 EVERYTHING WORKS ON IT.